so I have my '12 GTV in a shop to put the rear springs on, and they are having trouble getting the right rear one to fit (left one went on just fine) Seems the hole on that one is a different size from the stock spring. I did not get new bolts or bushings. But am I missing a different part? Did they send me the wrong shock maybe? I ordered the right one, and the box says it is correct at least. The bottom of the shock also looks a bit different from the one in the photos on the website. I think the mechanic is putting them in on the wrong side. 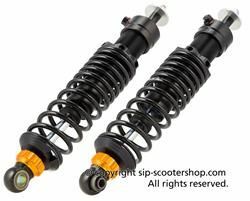 If anyone has aftermarket shocks on a GTS/V and can tell which one is left vs right, that would be awesome. Mine were not labeled at all, but I have a feeling he put the right one on the left side and used the little bushings. and the one from the left side now won't. fit. I add a photo below to show how the holes are a bit different. Installed and working! 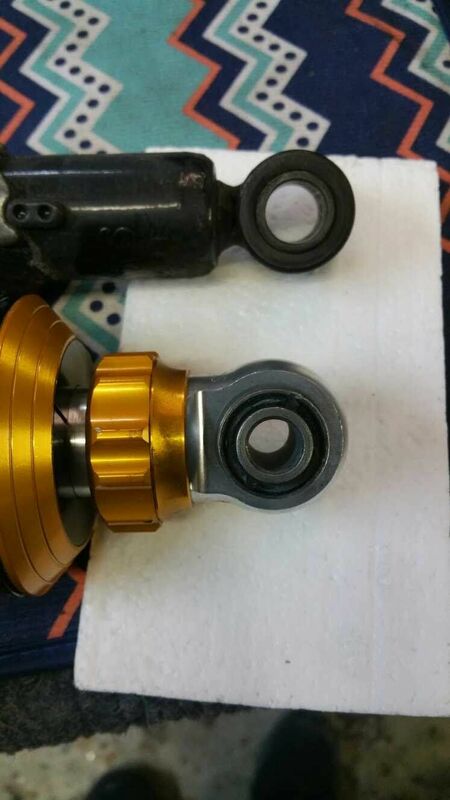 As expected the mechanic was trying to put the left shock on the right side. Now I just need to dial in the settings. My initial ride was a huge improvement over the stock setup though.